Being forced to exercise may still help reduce anxiety and depression just as exercising voluntarily does, according to a new study by researchers at the University of Colorado Boulder. Past studies have shown that people who exercise are more protected against stress-related disorders. And scientists know that the perception of control can benefit a person's mental health. But it has been an open question whether a person who feels forced to exercise, eliminating the perception of control, would still reap the anxiety-fighting benefits of the exercise. People who may feel forced to exercise could include high school, college and professional athletes, members of the military or those who have been prescribed an exercise regimen by their doctors, said Benjamin Greenwood, an assistant research professor in CU-Boulder's Department of Integrative Physiology. "If exercise is forced, will it still produce mental health benefits?" Greenwood asked. 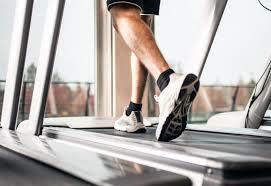 "It's obvious that forced exercise will still produce peripheral physiological benefits. But will it produce benefits to anxiety and depression?" To seek an answer to the question Greenwood and his colleagues, including Monika Fleshner, a professor in the same department, designed a lab experiment using rats. During a six-week period, some rats remained sedentary, while others exercised by running on a wheel. The rats that exercised were divided into two groups that ran a roughly equal amount of time. One group ran whenever it chose to, while the other group ran on mechanized wheels that rotated according to a predetermined schedule. For the study, the motorized wheels turned on at speeds and for periods of time that mimicked the average pattern of exercise chosen by the rats that voluntarily exercised. After six weeks, the rats were exposed to a laboratory stressor before testing their anxiety levels the following day. The anxiety was quantified by measuring how long the rats froze, a phenomenon similar to a deer in the headlights, when they were put in an environment they had been conditioned to fear. The longer the freezing time, the greater the residual anxiety from being stressed the previous day. For comparison, some rats were also tested for anxiety without being stressed the day before. "Regardless of whether the rats chose to run or were forced to run they were protected against stress and anxiety," said Greenwood, lead author of the study appearing in the European Journal of Neuroscience in February. The sedentary rats froze for longer periods of time than any of the active rats. "The implications are that humans who perceive exercise as being forced — perhaps including those who feel like they have to exercise for health reasons — are maybe still going to get the benefits in terms of reducing anxiety and depression," he said. Anxiety Disorders CE Course ### Other CU-Boulder authors include Katie Spence, Danielle Crevling, Peter Clark and Wendy Craig. All the authors are members of Monika Fleshner's Stress Physiology Laboratory in the Department of Integrative Physiology. The research was funded by the National Institutes of Mental Health and the Defense Advanced Research Projects Agency.